If we pay attention to the alarms in our lives, they could save us. Worry. Anger. Loneliness. Negative emotions are uncomfortable by design. Like any good fire alarm, they alert us to a greater danger. But they won’t help us if we try to cover them up, hide them behind excuses, or assume they will always plague us. The only healthy way to manage negative emotions is to find their source and address the problem that set them off. You don’t have to let your emotions run away with you, your family, or your future. 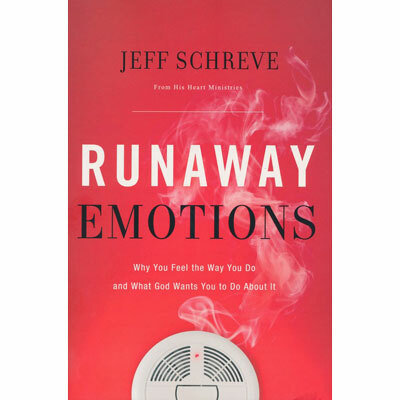 Jeff Schreve passionately communicates God's Word to connect people with Jesus Christ and experience His love and plan for their lives. He is pastor of First Baptist Texarkana and founder of From His Heart Ministries, a national and international radio and television ministry. Jeff holds a BA in Business Administration (UT-Austin) and M.Div from Southwestern Baptist Theological Seminary. Jeff and his wife, Debbie, have three daughters, one son-in-law, and one granddaughter.